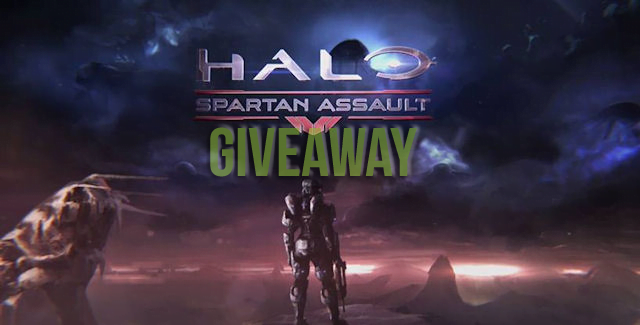 Thanks to our wonderful friends at Microsoft Studios, we’re giving away an Xbox Store redemption code for Halo: Spartan Assault! Thanks to our wonderful friends at Microsoft Studios, we have an Xbox Store redemption code for Halo: Spartan Assault to give away to our awesome community. What’s Halo: Spartan Assault you ask? Halo: Spartan Assault is a fast paced top-down shooter set during the timeline between “Halo 3” and “Halo 4,” progress your Spartan career as you engage in over 30 exciting Campaign missions using many of favorite Halo weapons, vehicles and armor abilities. This time around we’re going to continue the giveaway with the aid of Rafflecopter, the perk of Rafflecopter is that the more you do, the more entries you get into the giveaway; plus you can enter a minimum of once per day to increase your odds! Comments are no longer accepted as a valid method of entry.